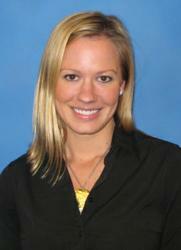 After holding several positions at AIReS, Ms. Beck joins the sales team on the west coast. After several years in a variety of capacities, Sarah Beck, CRP, GMS, has transitioned to the position of Account Manager at AIReS’ West Coast Regional Office (WCRO) in Huntington Beach, CA. Ms. Beck joined AIReS in 2005 as a Program Manager, with previous experience in residential property management and real estate. She took on the new role of Client Service Manager in 2008, working on transition and implementation of new business engagements and ongoing account management with corporate clients. In 2010, Ms. Beck relocated from AIReS’ Corporate Headquarters in Pittsburgh, PA to WCRO and assumed the role of Operations Manager. Throughout her career at AIReS, Ms. Beck has also been involved in several strategic operations initiatives and the development and roll out of new technology efficiencies. Ms. Beck will service corporate clients in Los Angeles, Orange County, and San Diego, as well as Arizona, Nevada, and Utah.